This product is available at eBay, Amazon.co.uk, Krcs. 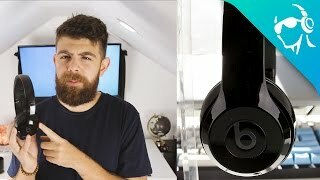 At ebay.co.uk you can purchase BEATS BY DR DRE Solo 3 Wireless Bluetooth On-ear Headphones Black for only £199.00, which is 9% less than the cost in Amazon.co.uk (£219.00). The lowest price of Beats by Dr. Dre Solo3 Wireless On-Ear Headphones - Black was obtained on 30/03/2019 23:44.